Whether in the bar around the corner or on the large dance floors - DJs are the masters of musical entertainment. And it doesn't matter whether it's just for the musical atmosphere or a DJ set in front of a huge audience - the art of DJing is above all the art of the moment: playing the right track at the right time to deliver a set with the right flow in a sequence of tracks. There are many different musical genres and technical orientations that need the right DJ equipment in addition to a musical feel - even if it's just the right cable to connect the tablet PC to a conventional music system. Making music with the turntable as a sampling instrument - that was a completely new development in the early 80s. Hip hop and rap developed at a rapid pace, and DJs were the heroes of the hour. They created a completely new sound with vinyl and the craziest scratching technique - and revolutionized the way music and sounds were handled. Today DJs are among the absolute stars among modern music producers and use a wide selection of DJ equipment, which can be used for live sets as well as for music production in their own home recording studio. Many DJs still swear by the "real" vinyl, but DJing has long been dominated by digital DJ equipment and MP3 has taken the place of vinyl records and CDs. The classic DJ setup consisting of two turntables, DJ mixer and music system has an almost nostalgic character. Digital DJ players, DJ controllers in combination with DJ software are the focus of today's DJ equipment. A DJ controller is the modern form of a complete classic DJ setup with two virtual turntables and the usual mixing DJ functions. However, the sound comes completely from the audio computer on which the DJ software runs. 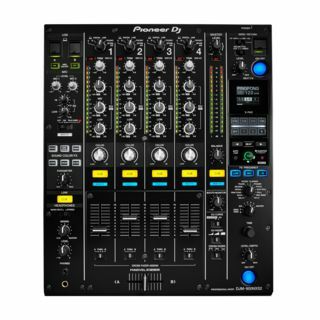 Pioneer is one of the leading manufacturers of digital DJ equipment. 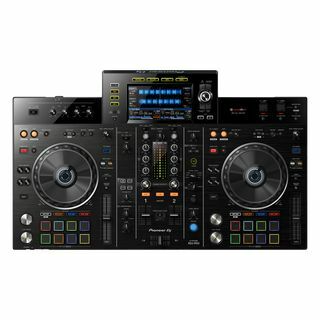 Under the brand there is everything to do with DJing: DJ controllers that can be connected to the audio computer via USB, DJ players for CD and MP3 as well as DJ mixers, monitor speakers for DJs and classic analogue turntables. Digital DJ Sets: Digital Vinyl Systems! If you don't want to do without the feel of a real turntable, you can still use DJ software. With a digital vinyl system you get everything you need. In order to control the playback of the digital tracks in the audio computer, so-called control vinyls are used - records on which only a control signal was recorded that transmits the rotation of the turntable to the DJ software. This gives you the best of both worlds: In the digital domain, you have access to a huge track collection and the versatile mixing possibilities of the DJ software, while playback and scratching with real vinyl is controlled as usual via two turntables. Serato is the leader in this segment with the digital vinyl system Serato DJ. For a DVS you don't need a USB turntable, but a special audio interface that includes Native Instruments Traktor Scratch. The audio outputs of the turntables are connected to the audio interface to transmit the time code of the control vinyls to the DJ software. In this way, the MP3 in the DJ software is interlocked with the analog record and follows every movement. Live Entertainment: Party DJ, Wedding DJ & Co. 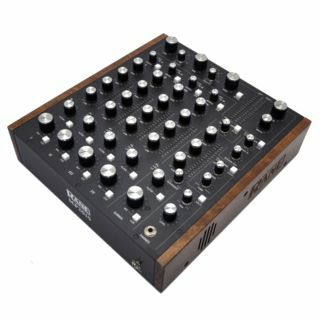 If you want to make mixtapes for friends as a hobby DJ, you can get by with little equipment - minimum is an audio computer plus DJ software. But if you're a DJ rocking parties and celebrations, you'll need a bit more equipment. A professional DJ setup doesn't just include a DJ player or DJ controller and DJ software - the DJ equipment also includes a complete music system and a light show as well as lighting effects. Of course, a normal stereo system is not enough for the music playback - as a party DJ it is better to rely on robust DJ speakers, in other words a PA system such as those used by bands. It may seem very impressive to build DJ speakers into gigantic sound systems - just as you would expect from a Jamaican Reggae DJ - but modern PA speakers are much more effective. Compared to conventional PA systems, modern mobile PAs are much more compact and at the same time very flexible. The PA system can be dimensioned for the requirements of the respective party location by combining the components. 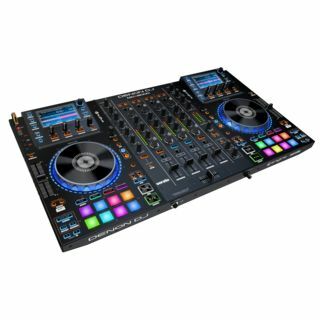 You can buy DJ equipment of all kinds in our online shop at low prices, safely and comfortably. No matter if you are a beginner and want to learn how to DJ or a professional who wants to buy a DJ setup - we offer you the possibility to finance your new DJ equipment with comfortable rates. Talk to us!